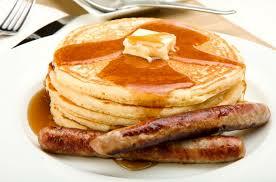 St. Leo Knights of Columbus will serve Breakfast on October 14th. following the 9:00 and 11:00 A.M. Masses. Everyone is welcome to enjoy a full Breakfast of eggs, sausages, baked beans, pancakes, biscuits, coffee, tea and juice in the Church hall. Adults – $5.00, Children ages 4 – 12 – $3.00 and Children under 4 – free. Hope to see you there.